kitchen sink blueberry banana bran muffins – wine.dine.repeat. 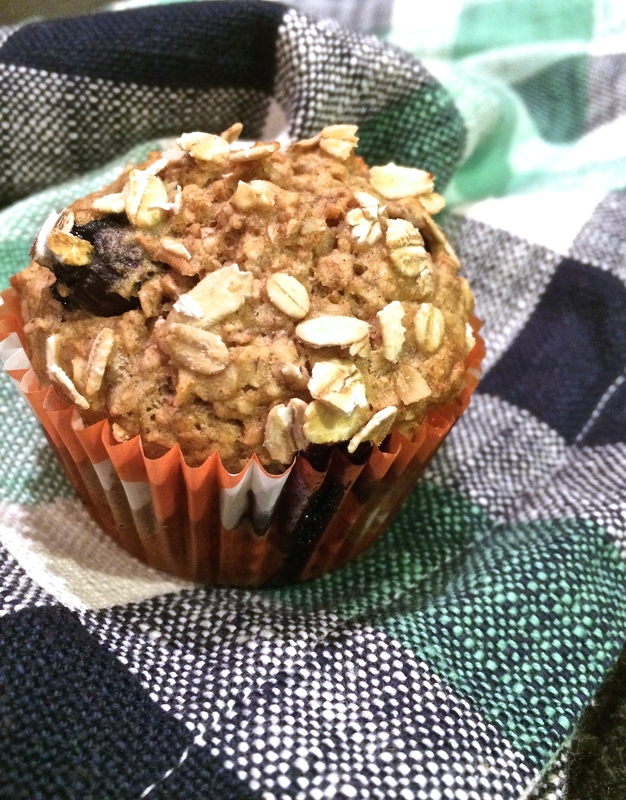 As a huge fan of pastries and breakfast in general, I realized that recently I have been straight up neglecting a former favorite morning food companion of mine: the humble muffin. As soon as I came upon this realization, I began immediately craving muffins. However, due to the aforementioned need to reel it in diet-wise post 2014, I decided to try my hand at making them myself to monitor their contents. 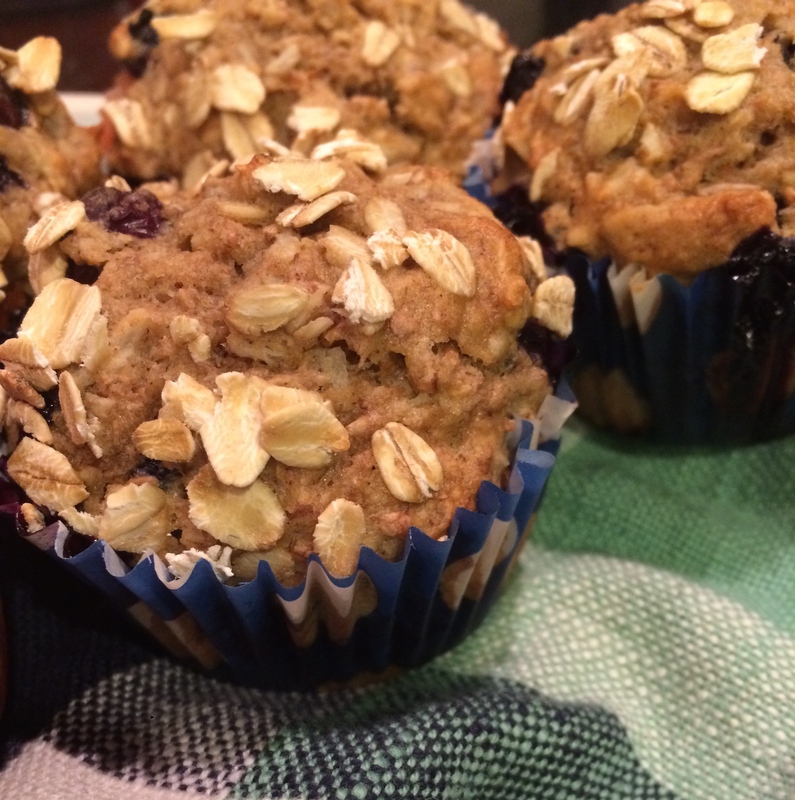 I dreamed up these muffins using buzzword healthy ingredients like “oat bran” and “whole wheat flour”. Though admittedly I am not a baker by nature I think these are pretty great. They have ripe mashed banana that keeps them moist, nuts and coconut for a crunchy and chewy texture situation, and blueberries because all muffins should have blueberries. These are an all the time dream treat. They are perfect as a grab and go breakfast, a midday snack, or even as dessert with a cup of tea. They have minimal sugar and though the ingredient list looks long (hence the kitchen sink moniker) it is likely that most of this stuff is hiding somewhere in your house already. If not, it’s worth investing. You’re going to want more than one batch of these. Preheat oven to 400 degrees. In a large bowl combine 1 cup of the flour, the oat bran, coconut, oats, baking powder, baking soda, salt, and cinnamon. In a separate bowl, whisk together the sugar and oil. Add in the banana, milk, eggs, and vanilla, and combine until smooth. Add the dry ingredients into the wet mixture slowly and mix together until just combined (it’s fine to have a few lumps). Wash and thoroughly dry the blueberries. Toss them and the pecans in the extra tablespoon of flour until coated (this helps them not sink in the batter). Fold them into the batter without over mixing. Fill a cupcake tin with liners and using an icecream scoop fill each tin. Sprinkle the additional oats atop each muffin and press them in gently. Bake for 22 minutes. If a toothpick comes out clean, remove them. Otherwise, let them cook an additional 3 minutes. Let cool completely, and serve.